Select an image in the gallery for details. To see transformations, go to Before & After. 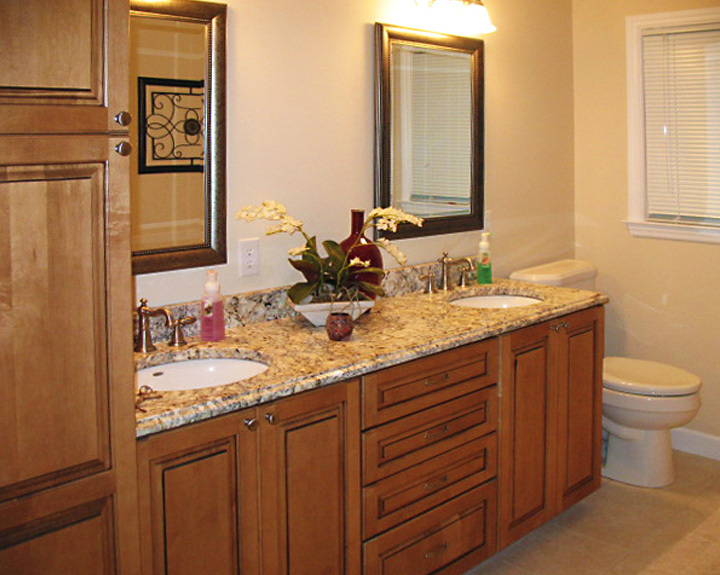 New elegant bath includes granite tops, stainless steel sinks, glazed cabinets, overhead lighting, custom mirror, and ceramic floor tile. 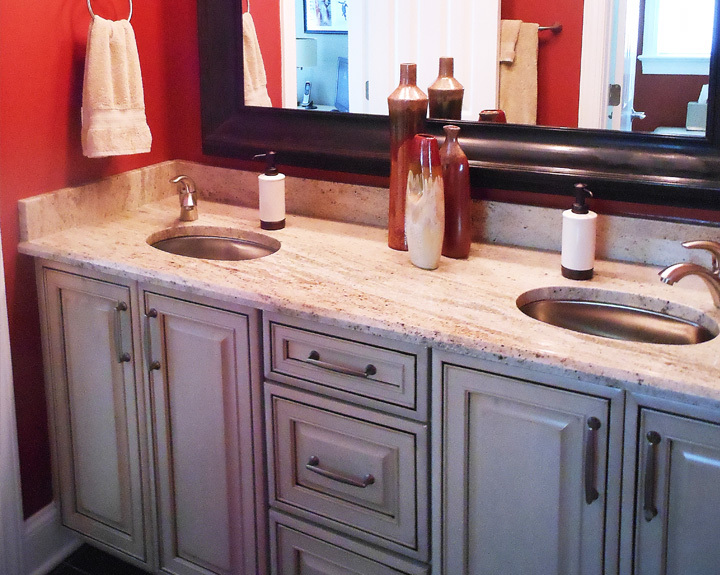 New cabinets, granite counters, and sunken tub bring bath up to date. (reverse angle) Exchanging positions of closet and shower enhanced size of both. 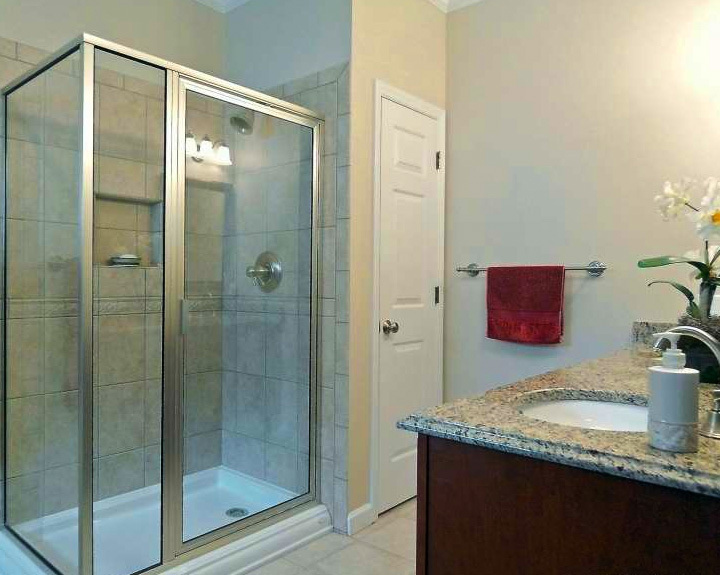 Upgraded shower space and fixtures plus granite tops and new cabinetry. 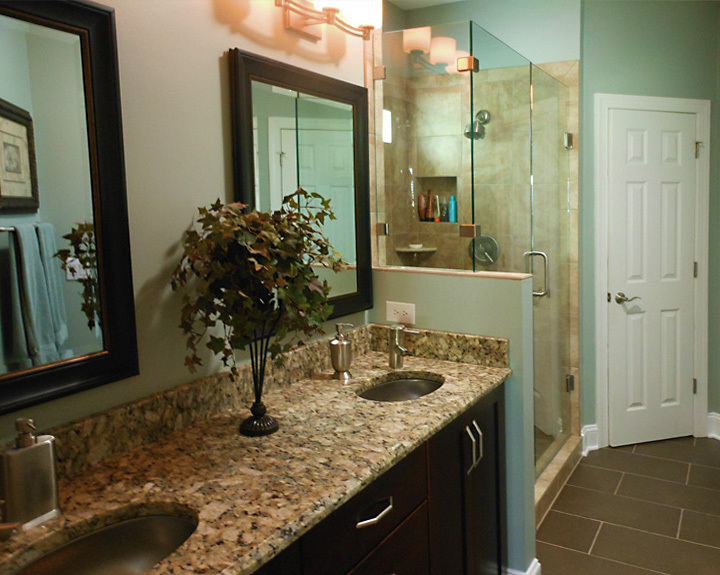 Garden tub becomes custom frameless shower plus granite double-vanity, stainless steel sinks, cherry cabinetry, and ceiling Sun Tunnel™. 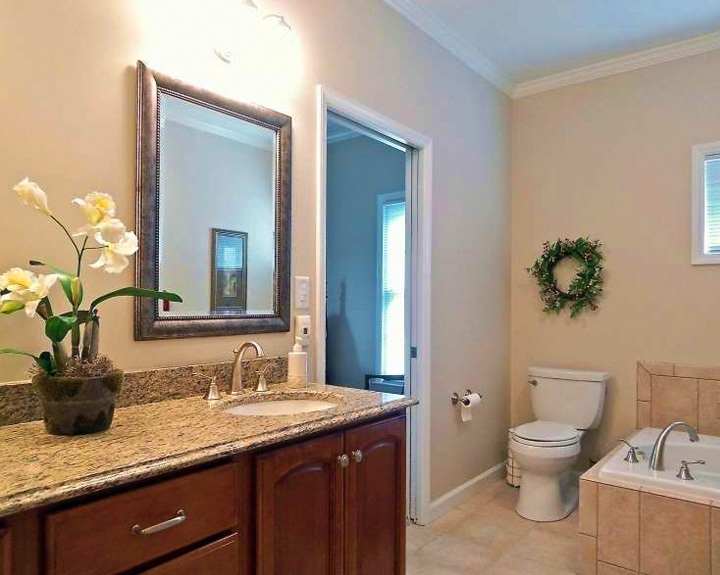 Complete remodel adds dual vanities, granite counter tops, upgraded cabinets and linen storage. ©2017 Jason Wilcox Construction, Inc.